If you have ever felt as though your head was going to explode when you reviewed the specs for a new tow vehicle, the Toyota Land Cruiser might just be the best choice for you. You can get this sport vehicle one way, and that’s fine since it has the features that you would probably choose anyway. I discovered this while researching tow ratings and equipment for a range of new vehicles. They call it a mono-spec, a term that I have never heard before. The Land Cruiser was the only one that did not require a one from column A and two from column B menu approach to specifications and that was pretty refreshing. The only thing you will need to do is find and install the best integrated trailer brake controller that you can find, and pick, your finishes. 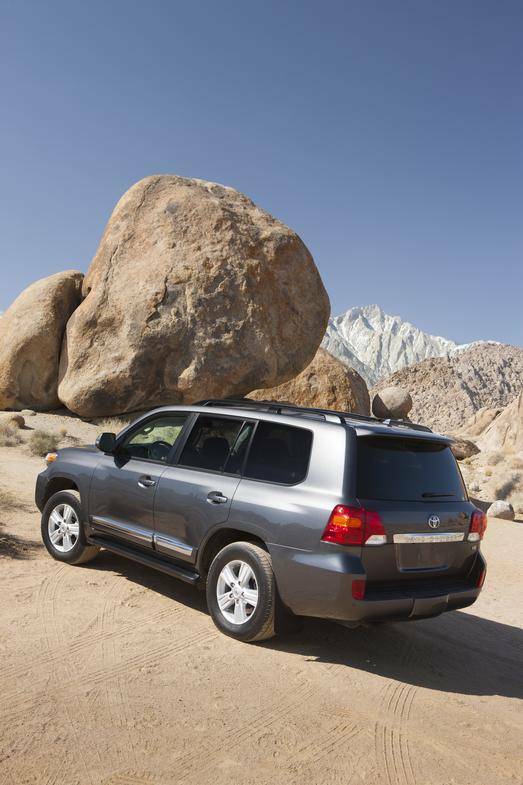 The Land Cruiser is certainly not new to the SUV marketplace. 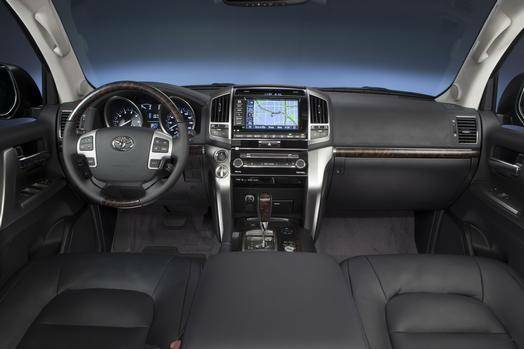 It is a legacy vehicle with 50+ years of history for Toyota, which cut its teeth on capable SUVs. This is a robust vehicle with body-on-frame construction and underbody panels already installed. There is a high-mount double wishbone front suspension and a four-link coil-spring rear suspension. They have recently added a kinetic dynamic suspension system that adjusts the lean resistance that the stabilizer bars provide. With variable valve timing and acoustic control induction, torque is optimized across the engine speed range. The spec-ed engine is Toyota’s 5.7L DOHC V8 with 381hp and 401 lb.-ft. of torque. Tow load is rated at a healthy 8,500 lbs. and with 90% of the torque available at 2,200 rpm, this is a natural tow vehicle. A tow package is standard with a tow connector and sub-wiring harness to allow the installation of the brake controller that I mentioned. It is a pet peeve of mine that, with all their attention to detail, Toyota still does not have an integrated trailer brake controller on any of their vehicles. I would love to see them eliminate that as they move forward.A water cooled oil cooker and standard trailer sway control complete the mono-spec tow package. 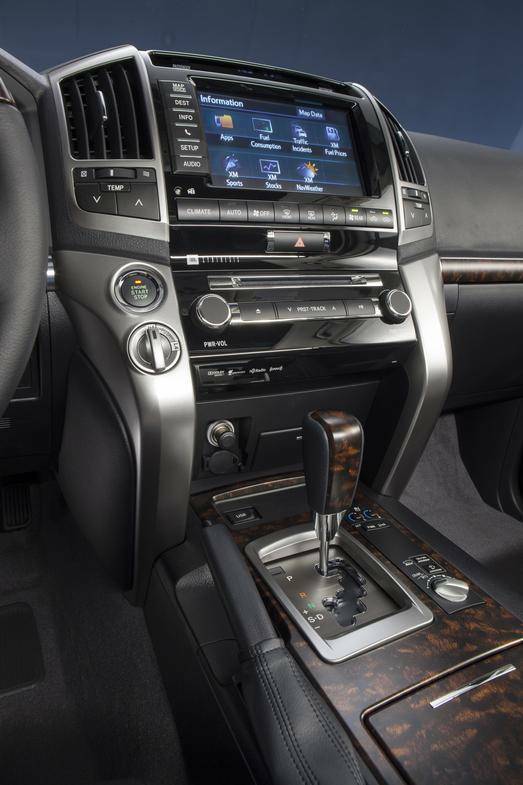 Toyota’s V8, which takes regular gas, is mated to a 6-speed automatic transmission which also has a sequential shift manual mode for weathering challenging conditions. There are five low speed forward settings. This is a full-time 4WD truck with all the trimmings and it is as able for off-roading (hunting ranch, anyone?) as for on-road towing. An off-road turn assist tightens the turning radius by applying slight brake pressure to the inside rear wheel — another feature that I had never heard about before. Downhill Assist Control and Hill-Start Assist Control are also standard which makes a lot of sense since this is a vehicle designed specifically for the kind of activities that a sportsman follows. Make no mistake. 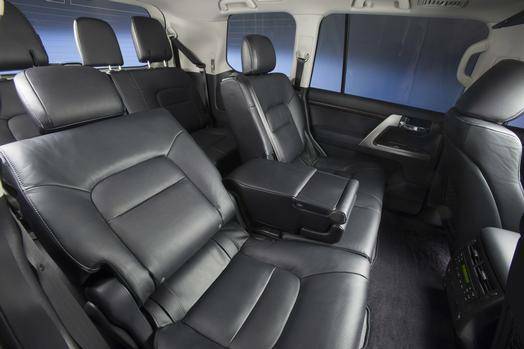 This is a luxury SUV with the interior features that are expected. Everything that the contemporary people mover offers is there — from safety to electronics to infotainment. You name it; it’s on the list and you don’t have to think about it. The center console even integrates a cooler box. The hvac system reads like that of a private jet and nothing has been left out. This is no low price alternative, as the list of features makes clear, but it you don’t want to spend a day picking and choosing your sport vehicle, this may be a perfect alternative.